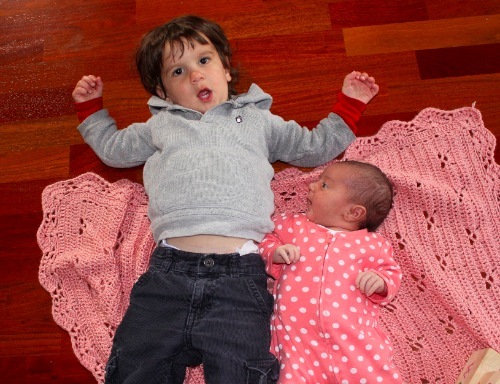 Raffi gained a little sister this month, and with it a big boy sense of responsibility. 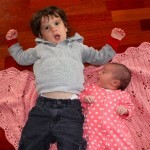 Alessandra is only 2 weeks old, but Raffi has yet to show one sign of jealousy or resentment. He LOVES his sister. Every morning when he wakes up he immediately asks for “baby?” – and when he finally gets to see her he pets her while saying niiiiiccce over and over again. He is so sweet. Raffi loves sharing with her and will share even his most prized toys. It is so sweet and makes us so happy. We have lots of laughs and happy moments these days, but it is absolutely impossible to capture them. To be honest, I don’t try that hard. It’s difficult to take photos when you’re trying to make sure your excited toddler doesn’t squish your newborn baby, and every time Raffi sees the camera he makes the below face. He doesn’t like that I don’t allow him to play with my fancy camera. – Raffi now speaks in sentences. He only strings together 2-4 words at a time, but it’s a big transformation from last month. His favorite phrase is still either “bye bye ___” or “uh oh ___”, but he uses lots of other phrases too. He regularly says thank you (cue cue) and please (peeeees) and is picking up several new words every day. Not everyone can understand him, but we can. He pronounces some of his early words perfectly now, and newer words still need interpretation from us. 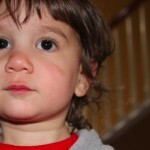 – Stairs have become much easier for Raffi with a little growth spurt and better balance. He goes up and down holding on to the wall or with one of our hands. I can’t wait until he can go up and down without supervision, as it’s quite difficult to help him on the stairs while carrying the baby too. 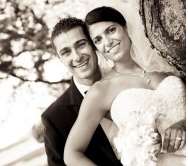 – Finally, with the birth of his sister, I have stopped logging Raffi’s sleep. For 18 months I used the Total Baby app to log every minute of sleep he had. It’s been a relief to not worry anymore if he is getting too little sleep. Overnight he usually sleeps about 11 hours, and his nap is about 1.25-2 hours long. Since I’ve been home I’ve been getting him down for his nap around 1 and bedtime is around 7:45 PM, but I’m pretty flexible with both based on his mood. – We all love going on what I call adventure walks. I pile the kids in the stroller and we have a running commentary about everything we see. Raffi’s eyes are better than mine and he doesn’t miss a thing. He now asks to go to the playground or park, so we try to go every day we can (which is most days). He also likes to walk lots of places and requests to do so. He is getting better about holding our hands when walking. 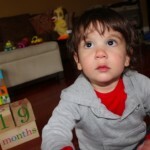 – Raffi had two little accidents this month, both in the first two days we were home from the hospital. The second accident required a quick visit to the pediatrician, where she gave him two lollipops for being such a good boy. Those were his first lollipops and he loved them. Well, today I took both kids to the pediatrician for Alessandra’s appointment, and as we were leaving he ran straight to the pops! I had no idea he knew where they were and could remember something that happened 2 weeks ago. He tried to grab two huge fistfuls of them which had everyone laughing. He settled for one pop and was sad when I made him throw it away 5 minutes later. On our walk home he said “bye bye hop” in the saddest voice ever as he recalled having to throw it out. Poor guy! – We are working on our letters as well as counting. 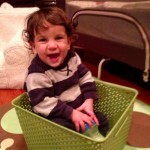 So far Raffi knows A, B, C, E, I, O and R, but we practice lots of letters every day. He is really interested in learning them, but if we move too quickly he mixes them all up. 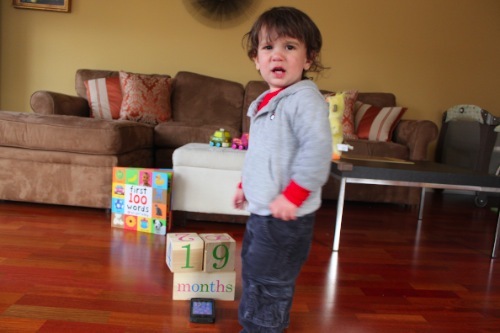 For numbers Raffi can count to 4, but he can only quantify things in 2’s. As he walks down the stairs he says “1, 2, 3, 4” over and over again. Of course he doesn’t know anything when I try to show his skills off to visitors. – Raffi now requests what foods he wants for meals. 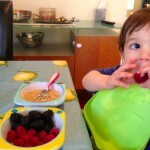 Sometimes I will put his breakfast down and he will say “no more blueberries…. waffles please?” or something similar. If it’s something healthy and we have it in the house I will usually make it for him. That means that a few meals have been quite strange. 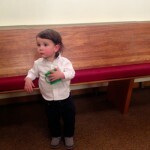 For example, tonight he had plain Greek yogurt and peas for dinner. – Some personality traits are coming through. 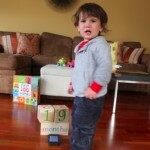 Much like the frustrated piano player I was as a child, Raffi gets frustrated when he can’t solve certain tasks easily. Instead of trying to figure it out, he usually thrusts the toy at me and asks for help. Examples include putting links together or putting in the triangle puzzle piece. 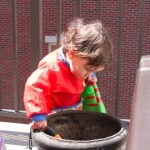 However, he sometimes surprises me with his focus and determination to figure certain out other things. For example, he played with his sound machine for a solid hour one day figuring out what buttons made what sounds and how to change the volume etc. – We took a break from potty training in the last few weeks, but as soon as I get into a routine with both kids I intend to move full force with this. I hope that I have a great update for you next month. – Raffi ate chicken once this month! He’s been a vegetarian since the end of last summer, so this was a big deal. Go Raffi! 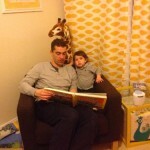 – This month Raffi has become quite the snuggle bug again. He randomly runs up to me to give me a hug, and he requires a kiss after any faux or real injury. At night when we read books he finally sits still and snuggles into me, resting his head in the nook of my arm. I love it. Teeth: He’s getting a lot more teeth this month. I am so thankful teething doesn’t affect him terribly as he is getting so many at once. Sabrina, he is such a doll! 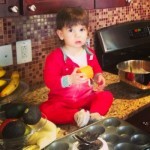 That photo of him baking is priceless. He shares his toys with her??? That’s just adorable! I hope this doesn´t come across as rude, but it seems you are happy that he ate chicken and I was wondering why? Would it bother you if he would continue eating vegetarian food? I love that’s he has taken his big brother roll on so well. This update makes him sounds just precious! I’m impressed with his sentences and letters and I can totally hear the peeeeeees? because H says it the same way. It’s heart melting! I’m so glad two under two is treating you so well! I am a SLAVE to the Total Baby app! I cant believe you lasted so long! I’ve had a few days here and there where we stop tracking his sleep, but I always come back to it. And I have no idea how I’ll ever stop tracking his feeds. 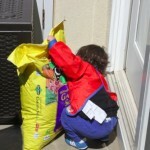 Raffi is adorable and I am so happy to read about how much he loves being a big bro!